Discover a collection of high-quality two and three bedroom homes in the heart of Ebbsfleet Garden City. Designed to offer everything a modern lifestyle requires, with all homes available to buy via Shared Ownership, this is a uniquely affordable opportunity to enjoy a country lifestyle combined with an 18-minute journey to St Pancras International for fast connections to London. Each home features spacious, light-filled rooms, with contemporary living areas and restful, comfortable bedrooms. The stylish modern kitchens offer sleek units, superior work surfaces and high-spec integrated appliances. To book a viewing please contact Customer Service Team.. 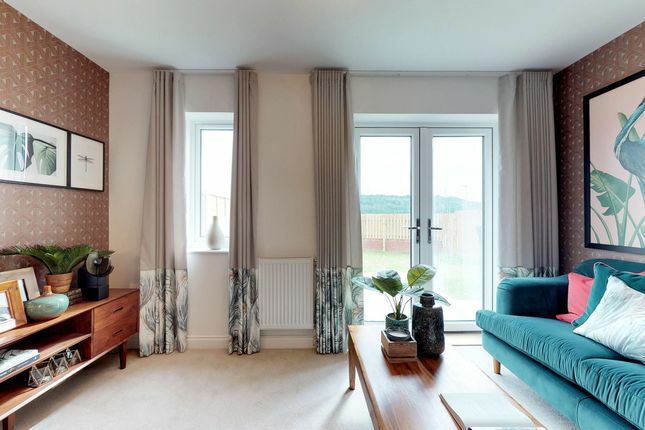 Unity Gardens is a bold, contemporary collection of 65 two and three bedroom homes in one of the most exciting places in England, Ebbsfleet Garden City. All 65 homes are available through shared ownership. Each home features spacious, light-filled rooms, with contemporary living areas and restful, comfortable bedrooms. The stylish modern kitchens offer sleek units, superior work surfaces and high-spec integrated appliances, while bathrooms include premium suites and heated towel rails. Every house comes with its own parking space and of course, tranquil pocket of green: A private garden, just right for entertaining, playing and relaxing. Designed according to the original 'garden city' principles, Ebbsfleet Garden City combines acres of glorious green space and a 17-minute rail journey into central London. With new villages centred around attractive retail, leisure and community space. This is town and country in perfect harmony. No ordinary development, but a whole new way to live. You cannot afford to buy a home suitable for your needs on the open market. You will need sufficient savings for a mortgage deposit and a clean credit history to qualify for a mortgage. Your annual household income must be less than 80,000. You must be a first time buyer or existing shared owner*. If you already own a home, you need to move but you cannot afford to, then please discuss your situation with us. There are some circumstances under which you could be eligible. Applicants from any borough will be accepted however priority will be given to those with a local connection to Dartford. Property descriptions and related information displayed on this page, with the exclusion of Running Costs data, are marketing materials provided by Clarion Housing - Unity Gardens, and do not constitute property particulars. Please contact Clarion Housing - Unity Gardens for full details and further information. The Running Costs data displayed on this page are provided by SmartNewHomes to give an indication of potential running costs based on various data sources. SmartNewHomes does not warrant or accept any responsibility for the accuracy or completeness of the property descriptions, related information or Running Costs data provided here.